The stars of the upcoming movie "21 Jump Street" Jonah Hill and Channing Tatum try to speak Irish for the Dublin radio station, 98fm's promo. We have to hand it to them, we've heard worse. The movie "21 Jump Street" is out on 16th March and sees immature cops Schmidt and Jenko join the secret Jump Street unit. They are given the mission of going undercover at a high school, due to their youthful appearances, to investigate a drugs ring. 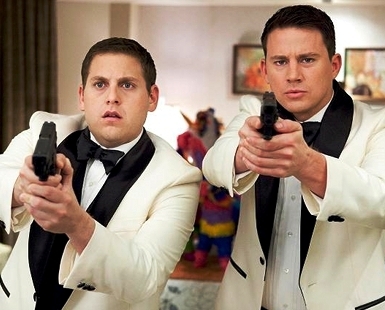 "21 Jump Street" which is already being called the next "Super Bad" for Jonah Hill also stars Johnny Depp and Ice Cube.